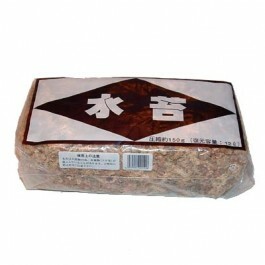 150 gram packet of Japanese Moss, measuring 28 x 12 x 9cm. Use as a soil improver or crumble onto the surface. 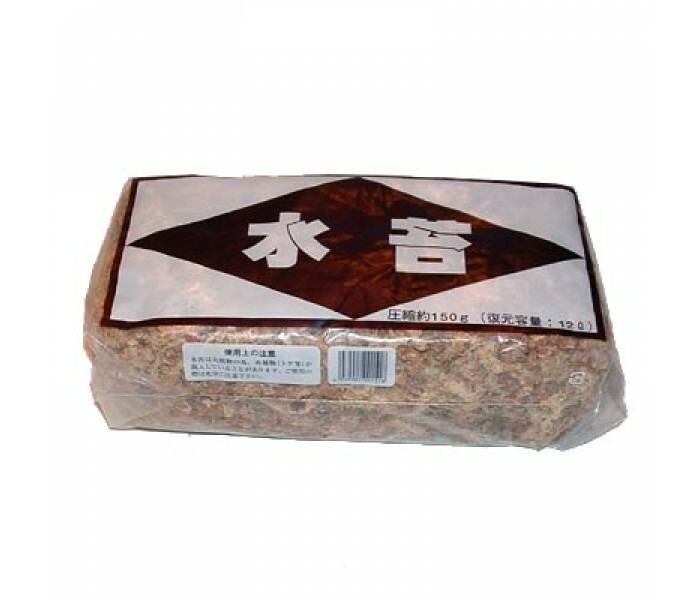 150 gram packet of Japanese Moss, measuring 28 x 12 x 9cm. This moss is ideal as a soil improver. Coarsely crumble up a handful into your soil mix. It provides some water retention and some organic matter that will rot and provide nutrients to your bonsai trees. You can also crumble the moss finely onto the surface of your bonsai soil. Keep it moist, ideally with a mist sprayer, and it will begin to grow and encourage other mosses also to colonise. A little moss on the bonsai soil surface can look appealing as well as slowing evaporation and helping the soil to absorb water. Try not to let the moss completely take over however. Packaging may vary from the picture.